It's been two months since Gameloft started to test its new entry in the Dungeon Hunter saga. Today, the French game developer and publisher announced the game if finally available worldwide on both the Android and iOS platforms. 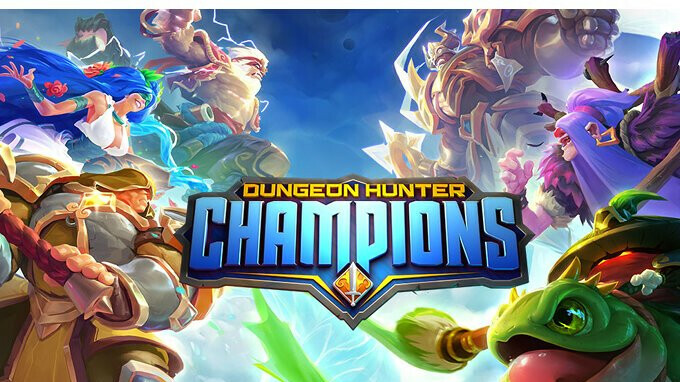 Dungeon Hunter Champions is now ready for download on the App Store and Google Play and doesn't require any upfront payments. Keep in mind though it does feature in-app purchases and one of the most expensive items that you can buy is the $99.99 Legendary Pack. Apparently, Dungeon Hunter Champions want to be “a new breed of online action RPG (role-playing game),” but it remains to be seen whether it succeeds or not. The game allows players to summon powerful Champions from every corner of the multiverse, and embark on an intense party-based campaign. The single-player campaign's story is written by Dan Abnett, a veteran fantasy and sci-fi author who worked on major franchises in the world of comics. The game offers players a variety of missions that include different challenges, enemies, and environments. But that's not everything the game has to offer. Dungeon Hunter Champions is most likely to appeal to those who prefer multiplayer games. Gameloft's new title features a live 5v5 mode where players must build a strong strategy and skillfully use their Champions to lead them to victory. Obviously, each Champion offers a different play style since they come with unique personalities and skills. You can check it out now for free, but make sure your Android/iOS device fully supports the game.